skilled and talented producer Drumsticks said ‘I wanted to create a relatively new sound for Zayo since he has not been heard on such beat hence we sat in the studio and came up with the sound with the assistance of Jumbo and some live band instrumentalists. Am glad it came out this wonderful. 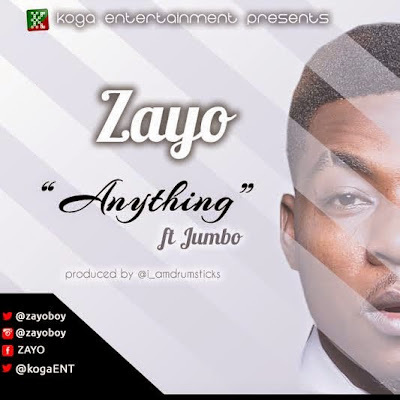 ‘Anything’ is a low tempo afro pop song which would make it to the lips of people within a short time. Enjoy!